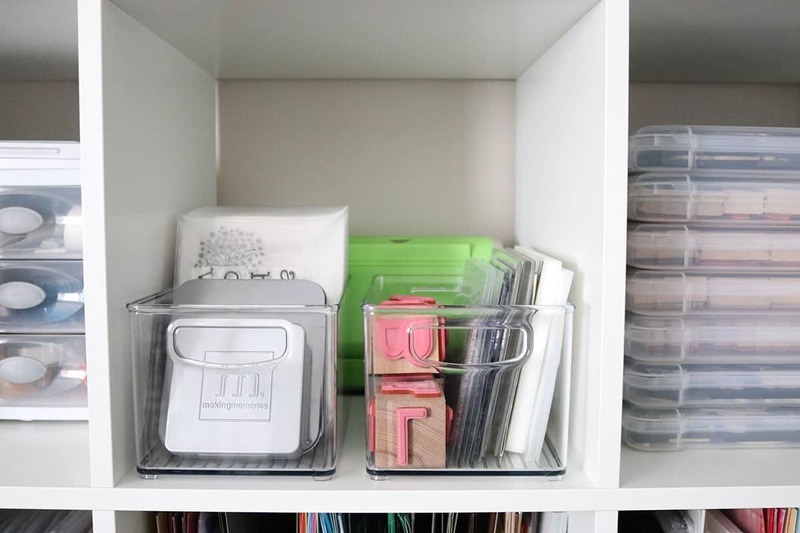 Clear storage pockets are the key to organizing clear, acrylic, and cling stamps so you can easily find what you need. 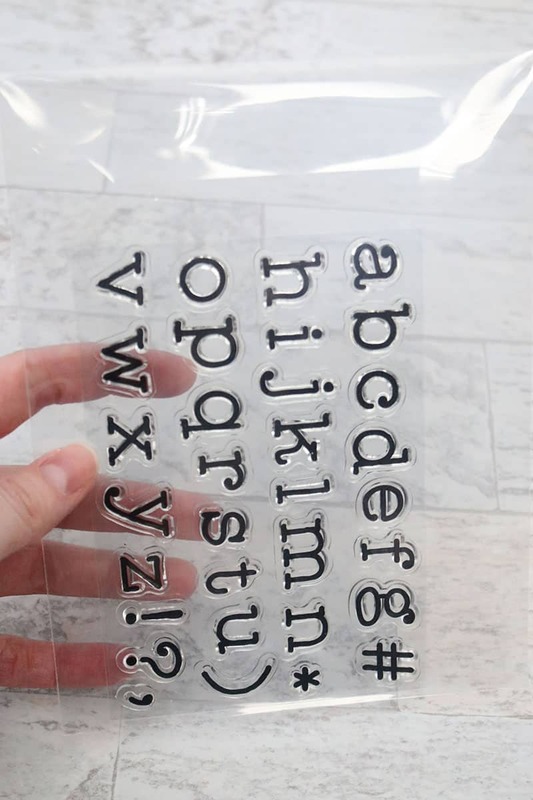 Now you have no excuse not to use your clear stamps for that next scrapbooking or card making project! I had originally been storing my clear stamps in one big plastic bin and there was absolutely no organization within it. It was terrible, because I could never find the stamp I was looking for (at least not without dumping out the entire bin). So I’d often skip the stamping part of my papercraft project and substitute with patterned paper. And what a waste to not be using my perfectly good (and super cute!) clear stamp collection! So, I did some serious research to see what kind of clear stamp storage options were out there. And I landed on this method that I am so happy about! P.S. This is also the method that Jennifer McGuire uses, so you know it’s gotta be good! She is a professional card maker and has the craft room of dreams. 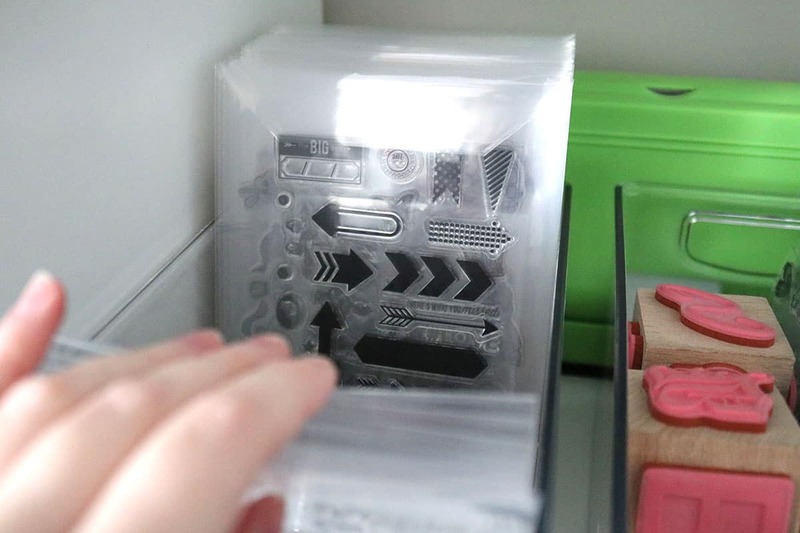 I will list some other organization options later in the post, but this is the method I now use to store my clear stamps and I absolutely love it! 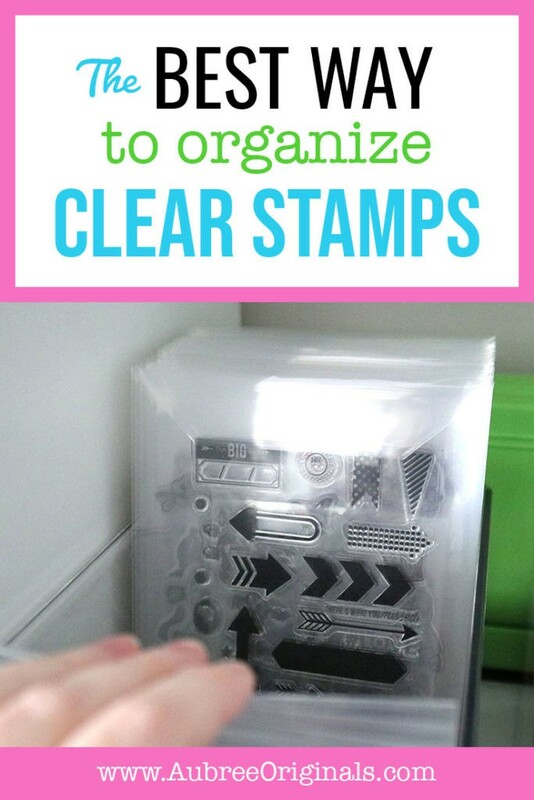 After seeing how organized my clear stamps are in such a tiny amount of space, I recommend this as the best way to organize clear stamps. 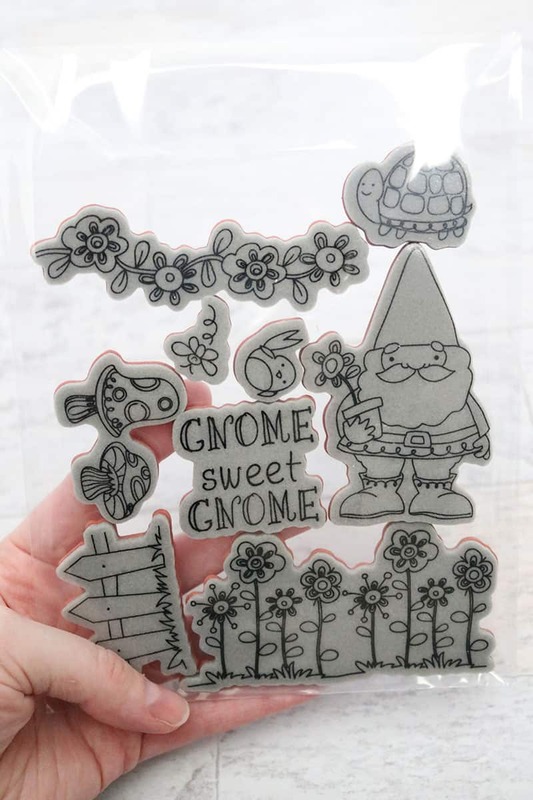 This storage method uses Avery Elle stamp and die storage pockets, which, as the name implies, are specifically designed to store acrylic stamps. They are little plastic sleeves, similar to a plastic sheet protector, but with a flap on one end that can be folded over and tucked in. I purchased the pack of 50, and that was plenty to store my clear stamps. So this was a very inexpensive option for me! 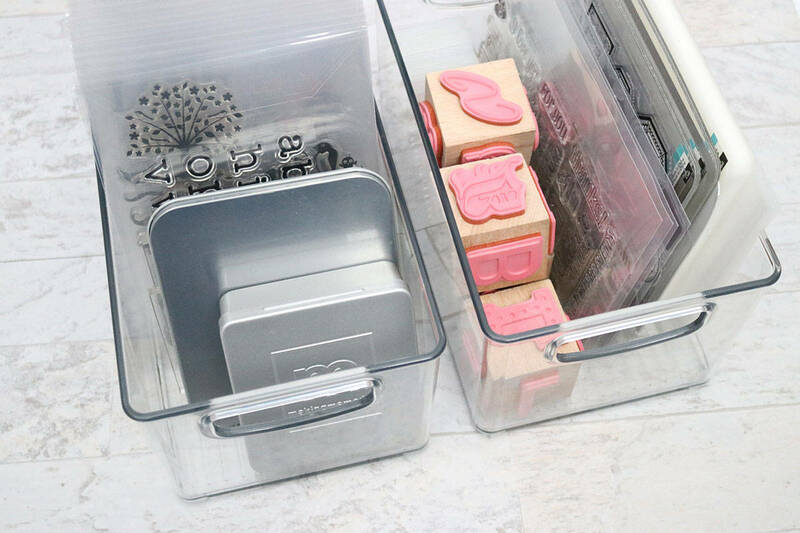 By storing your clear stamps in the Avery Elle stamp and die storage pockets, you can store them vertically! Like a mini stamp library! 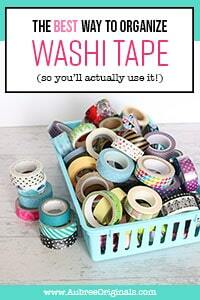 By storing them upright in a bin or drawer, you’ll be able to easily thumb through to find the set you need. If you want to be extra organized, you can make labelled sticky tabs to separate different themes of stamps within your bin or drawer–so you know right where that super cute llama stamp set is. Just stick the tabs on the first stamp pocket of that category. Or, make cards that are slightly taller than your stamp pockets (out of heavy cardstock or plastic office folders) and label them with a super handy label maker–like a card catalog of sorts. 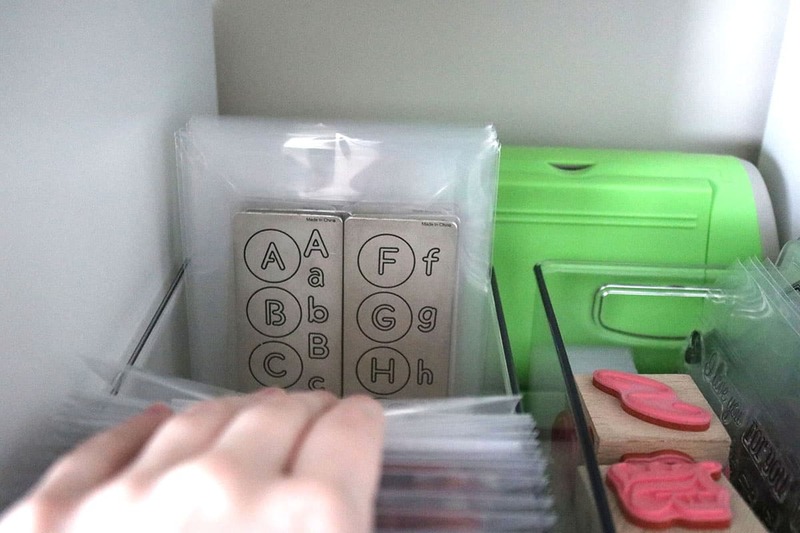 In addition to the clear stamp storage pockets, I also store Cuttlebug accessories, dies, large stamps, and my magnetic stamp set in the bins. Such a great use of space and I know where everything is! 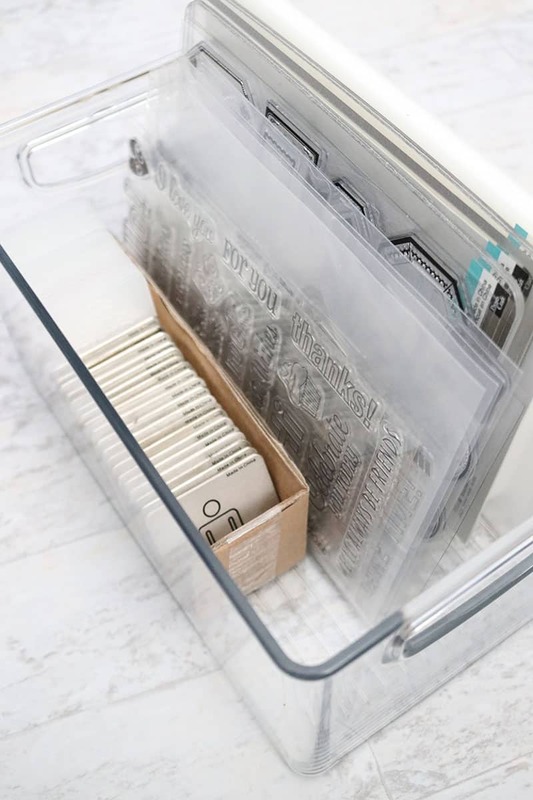 These clear bins are the perfect width to store stamp storage pockets, making it a breeze to flip through and find what you need! *Note: the storage pockets I purchased are the large 5.5″ x 7.25″ size. If you purchase the extra large pockets, you’ll want to search around for a larger bin (I think Walmart and Target both have some plastic woven baskets that would be great). Side note: I had originally considered purchasing these plastic binder pages, which I’ve heard are a little sturdier than the Avery Elle pockets. But I ultimately didn’t because I’d have to buy twice as many, spend twice as much–and I’d also have to carefully cut them in half. Which sounded like way too much work! Go with the Avery Elle pockets, and you won’t be disappointed! How will Avery Elle stamp storage pockets hold up over time? If you’re super rough with your Avery Elle pockets, yes, I suppose they could tear (they are still plastic, after all). But I think the material is perfectly strong for my needs and I don’t honestly foresee ever needing to replace them due to wear. My only qualm with the Avery Elle pockets is that some smaller stamps tend to slip down into the bottom of the pocket. But, I suppose if it really bothered me, I could buy the smaller-sized pockets that Avery Elle offers. Or, a variety pack if you want multiple different sizes from the get-go. If this bothers you, purchase the smaller pockets or see one of the other storage options below! 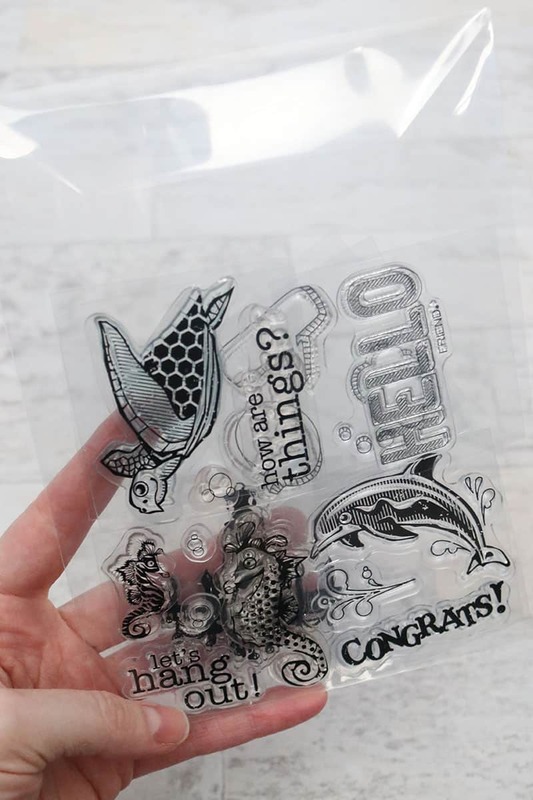 To easily store your clear stamps within these pockets, you’ll want to preserve the thin plastic backing that comes with your stamp sets and keep the stamps mounted to that. I believe most clear stamp sets come with a front and a back sheet, and you only really need one, so you can share some of your bigger sheets with smaller stamp sets. Just cut the sheets down to size to fit in the Avery Elle pockets you choose. 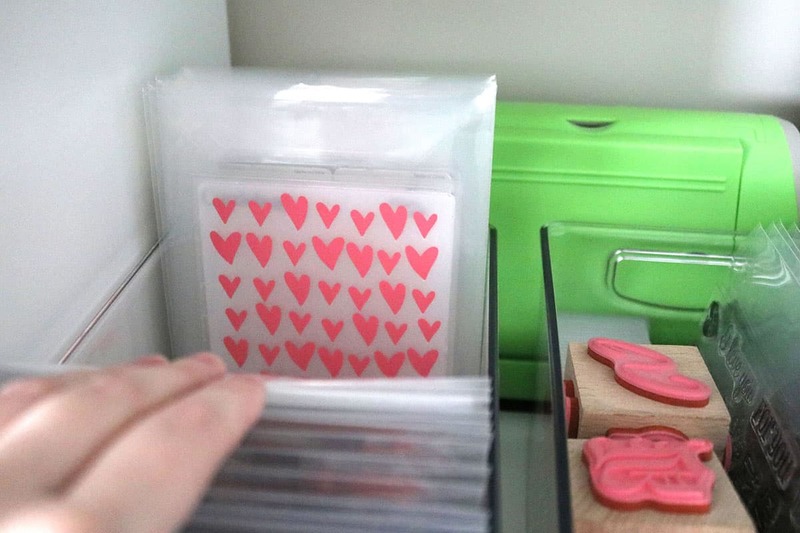 You could also easily turn a small photo album into storage pockets for your clear stamps, dies, and embossing folders (it would essentially act like one of the binders above). The bins are short enough that I can fit my Cuttlebug behind them on the shelf, which is perfect to have all my supplies in one place! Ahh! That feels so good to have all my clear stamps sorted and organized. And see how little room it takes up? I love it so much! Was this helpful? 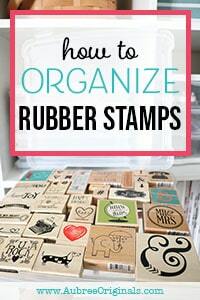 What organization method works best for you to easily see and use your clear acrylic stamps? Leave a comment below! And don’t forget to pin for later!